Twin Cities Veg Fest Is This Saturday! 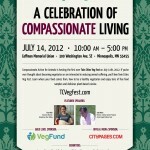 Come to our first ever celebration of compassionate living. The Twin Cities Veg Fest will include speakers, resources, a kids area, and of course, excellent vegan food! The first 200 to come to the festival will get extra goodies in their swag bags. What will you see at the Twin Cities Veg Fest? Check out our preview to get a taste! Please come with a friend, join the Facebook event, and Tweet about it. When posting on Flickr or Twitter, please use the #TCVF12 tag. For a better sense of what the Veg Fest is about, listen to radio shows featuring CAA Executive Director Unny Nambudiripad on AM950's Food Freedom Radio or on Animal Wise Radio. We'll be serving food at each of these events, so RSVP to brita.bengtson@exploreveg.org so we know how much to provide! For the Thursday session, we will eat first and then put up posters and bookmarks, for the Saturday session, we'll have a barbecue at 4 pm after putting up posters and bookmarks. Invite your friends to the Twin Cities Veg Fest! Join the Facebook event and invite others. Send an email, tweet (and follow our Twitter feed), or post on your blog. Call your friends and invite them. Tell people in person and bring them to the festival that day! The Twin Cities Veg Fest is entirely free and is a great event to spend several hours at or just one. The event is mostly indoors and has air conditioning. This event is a great chance to get your veg-curious friends to explore a compassionate diet! 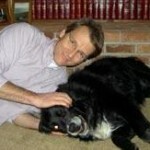 This week we had a chance to interview Scott Heiser of the Animal Legal Defense Fund. He'll be speaking at this year's Veg Fest, and from the sound of it you won't want to miss his talk. The Animal Legal Defense Fund has been fighting for animal welfare through the legal system for over thirty years. You'll be able to hear Scott at our July 14 Twin Cities Veg Fest. Get to know Scott by reading below and the entire interview on the Twin Cities Veg Fest website. CAA: What will you be speaking about? Scott: I'm speaking about animal law in the context of food production. I'll be laying out some of the common practices employed in factory farming and explaining how and why existing animal cruelty laws are decidedly inadequate to address this conduct. I'll also touch on the ag industry's fear of undercover work and the industry's reaction to the disclosure of these practices (i.e., ag-gag laws). CAA: How did you get involved in animal advocacy? Scott: As a prosecutor I have always considered animal cruelty cases to be a top priority for the justice system. When I decided to leave the DA's office back in 2007, I joined ALDF to help law enforcement and prosecutors get better results in animal cruelty cases-the move was just a perfect fit for me, my skill set and my personal values. Here's your opportunity to showcase your best vegan dish! 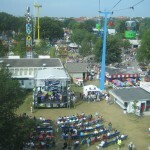 For the second year, the Great Minnesota Get Together is hosting a vegan main dish competition. The winner will receive a vegan cookbook from long-time CAA supporter Florence Brammer (who helped campaign to make this happen for the first time last year). Twin Cities Veg Fest Kickstarter a success! Thanks to everybody who contributed to make our Twin Cities Veg Fest challenge fundraiser. Last month we asked you to support the July 14 Twin Cities Veg Fest, and you came through! Because you pitched in, we'll be able to make this event the big hit that we want it to be. If you didn't get a chance to watch the video, please check it out at our successful Kickstarter campaign. If you can think of peaceful ways to include exploding tofu at the Veg Fest (i.e. no actual explosives), please let us know! We also need more volunteers for the Veg Fest, so let us know if you can help out! 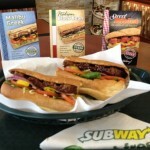 Partnering with Compassion Over Killing, we've asked Subway to carry more substantial vegan options. They've responded by adding options in several locations! These sandwiches will be offered at locations in Maryland, Washington, DC, and Baltimore. How about Minnesota? Please contact Subway by calling them at 203-877-4281 or provide a comment at WeLoveSubway.com and ask that they carry vegan options at a location near you! The Humane Society of the United States' annual animal advocacy conference is coming up July 27-30 in Washington, DC. We hope to see you there! Please join us at Taking Action for Animals, and learn about the latest in helping animals. Compassionate Action for Animals will have a booth at the conference. Conference attendees will learn about how to communicate effectively on behalf of animals, how to raise funds for nonprofit animal protection organizations, and the latest in farm animal advocacy. This conference is a great chance to meet with leaders in the movement and empower yourself to be an effective advocate. Please read an account of a volunteer's first experience with handing out leaflets to educated the public about the cruelties of animal agriculture and vegetarianism. After acknowledging that it was time for me to include as an ongoing commitment in my life–campaigning for farm animals after witnessing the horrors of factory farming–I was looking for ways of how can I get this message out to the population in general. And fast! My general thought at the time was that we need to get help for these animals as quickly as possible! After doing extensive research on the Internet, I joined Compassionate Action for Animals and eagerly inquired as to what were some of the very effective ways of getting information out to the general public, of which I find out that I could be a volunteer leafleter! What a great way to get the information out there and fast, just the very thing that I was looking for! The opportunity to leaflet on behalf of the farm animals and others in general without a doubt is a must in my life. It is very hard for me to acknowledge that the cruelty of factory farming is a reality in today's world. However, the good news is if I can pass out the word regarding the plight of the farm animals, then there are a thousand others that can do the same. These thousand others will turn into hundreds of thousands, of which with each piece of information that gets out there, a farm animal's life will be saved and hopefully the cruelty that is imposed on these animals will be wiped out completely. On my very first day of leafleting at a local college campus, I was apprehensive but at the same time very excited about the opportunity to get the information out regarding the plight of farm animals. Once I started passing out the leaflets, it was good to see that the general public out there was very responsive when the subject matter of helping farm animals was brought up. The fact that people eagerly accepted the leaflets after I mentioned the words "farm animals" really did not surprise me: what person out there would say "no" to the question regarding helping farm animals? And the answer is, I am happy to report, not very many! Interestingly, conversations were started by the people accepting the leaflets and in addition I was happy to see enthusiasm being generated out there regarding the willingness of the bulk of the general population to join up with the campaign for farm animals. In addition, I passed out leaflets at the cafeteria at my place of business, and once again, the same response was being generated that I had seen previously at the college campus. It's out there…people really, really want to know what's going on with the farm animals and the animals in general and what is it that they can do, however large or small the contribution to help the animals may be. And I intend to reach out, on behalf of the farm animals and the animal kingdom, to every single human being that I interact with on a daily basis for the rest of my life. 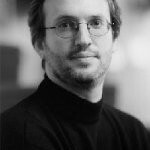 This week we interviewed Mark A. Berkson, professor of religion at Hamline University and advisor to the Hamline Animal Rights Coalition. Mark is a longtime friend of CAA and has spoken at some of our past events, and we are thrilled to have him as a speaker at the July 14 Twin Cities Veg Fest. He was kind enough to take the time to tell us a bit his work and interest in the animal rights movement. When you come to Veg Fest, make sure to catch his talk if you can-it promises to be a very interesting conversation.